Our chickens, are they clever, or sneaky and daring? 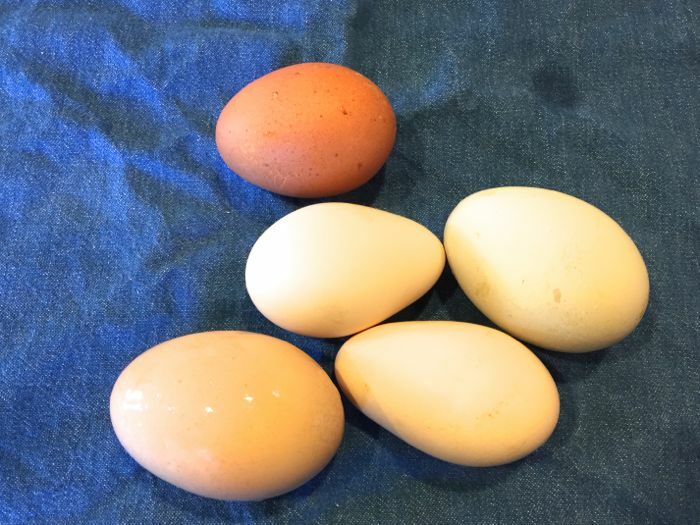 It turns out the hens are laying a few more eggs than I was finding. We went down to two eggs a day, and then a few days with no eggs at all, which was disappointing. Even more surprising though, is that Kamen is laying, again. 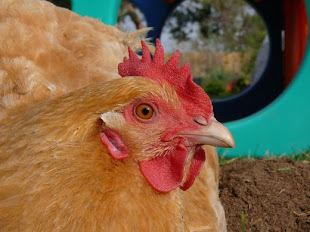 She's our oldest chica, hatched in March of 2011. Her eggs are a bit thin shelled and elongated, like a teardrop. I don't think Kamen laid any eggs last year. She's got some gumption, yeah? But back to the missing eggs... it seemed to me that the younger hens could muster a little more effort. Our days are cooler, and shorter, but not that much shorter. 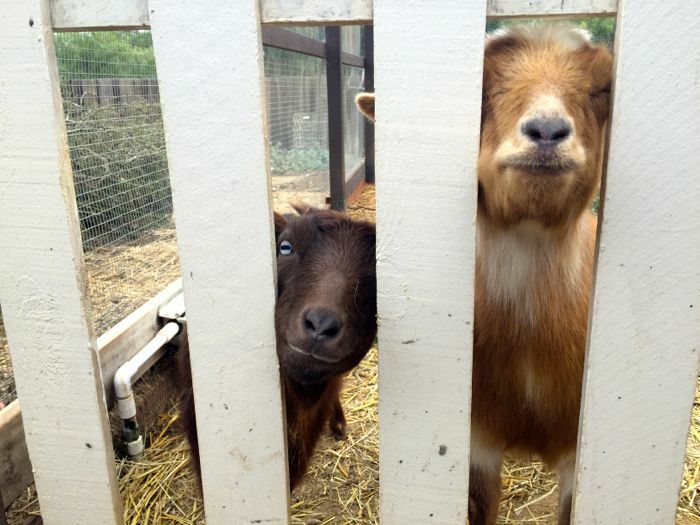 Turns out, they took to laying in the goats' cottage! They've done this before, but I thought they'd given up on this reckless habit. 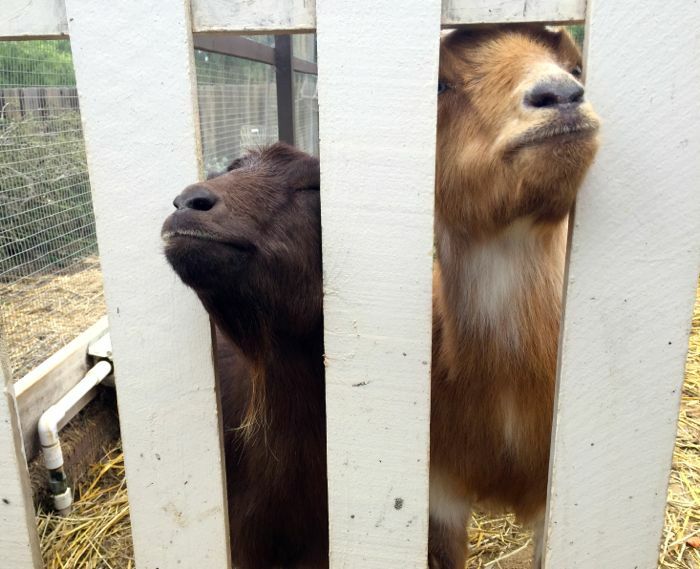 The goats aren't exactly dainty-footed, or overly careful about where they drop down for a nap. I can't believe six eggs were safely, stealthily tucked away in the goat cottage... especially in this rainy weather, when the goats hardly step out of their cozy little shelter. How did we keep from having a mess of scrambled eggs in straw?? Since I cannot be 100% sure how long the eggs have been in the goat nest, I will put them to the egg freshness float test. Good eggs sink! 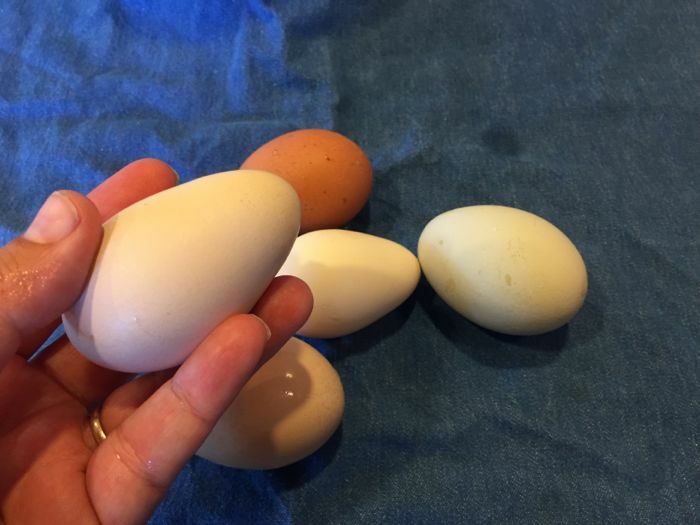 It's a tried and true way to know for sure whether we have good eggs. 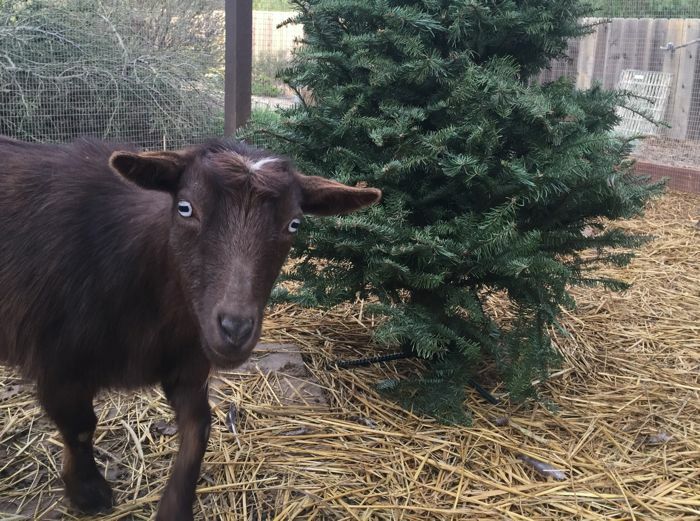 It's so much fun to bring the holidays outside, where goats and chickens can enjoy the season, too. In the fall they stay busy carving up Jack-o-lanterns from our pumpkins, and now that Christmas is over, they can all enjoy a crunchy evergreen snack. In a few weeks, Alex will have a nice, cleaned-up pine trunk, for, maybe a walking stick? Those wise critters, and our children, do their best to rethink, reuse, and recycle! 1. We enjoyed more rain over the weekend. Yesterday was an all day drizzle, nice for gardens, I think. 3. Does anyone need an artichoke plant? I wonder if they will flourish, too? Our plants from last year threw such pretty seeds into the breeze, and now we have volunteer artichokes popping up all over. There are more than we can sustain. 4. Inspired by what Deanne and James showed us at their lake cabin... I bought peanuts for the birds, and sure enough, we have scrub jays, flying in and out of the yard, like jets to a runway! They are fun to watch. 5. I resisted bringing home chicks, pigs, sheep, goats, and/or ducks on my last visit to the feed store. Gold star for me, I think. Monday, again. They seem to come about once a week, ready or not. I hope this is a good one for you, whether you are farming, gardening, browsing seed catalogs, scrambling eggs, or just napping with your cat. I love your farm reports and seeing how all the animals are doing. It's always nice to hear from you, Zan. Oh, boy, those sneaky chickens! I used to find clutches of eggs in my flower garden. They were always so ingrained with nasty dirt by the time I found them, that I didn't dare cook them. And, of course, it was always in the heat of summer when it happened. I miss my chickens, but not the poop. 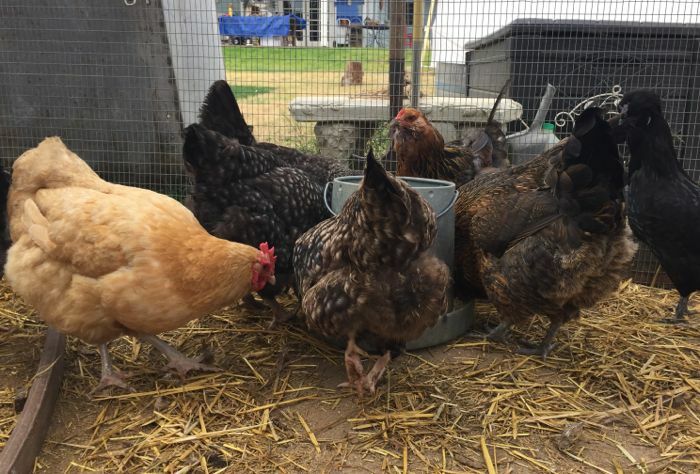 Speaking of poop, how is it your chickens have such clean butts? 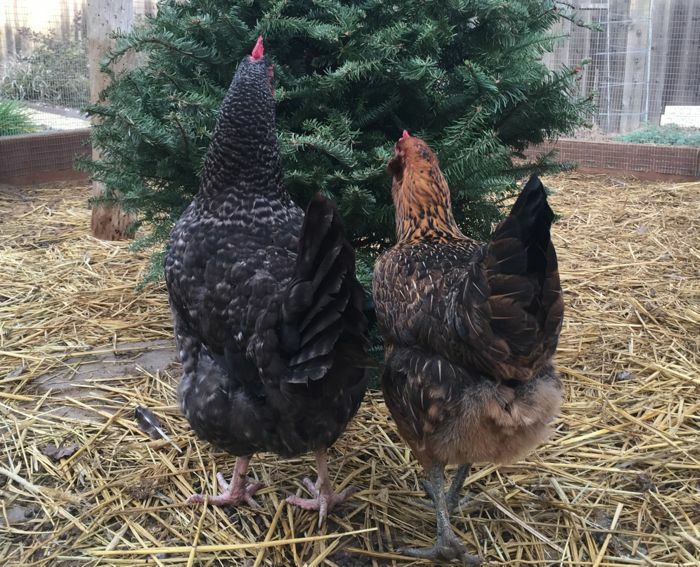 I only had two breeds whose butts didn't get nasty poopy, the Rhode Island Reds, and the Buff Orpingtons. If I ever get a flock again, those are the only two I'm getting. I always hated looking at the poopy butts. I can't wait for our farm supply store to have chicks. I want to take the toddler to see them. He'll be so excited! We did it last year, but I doubt that he remembers, since he was only one. I only had luck with sweet peas once here, well, at the other house. It stays so yucky here for so long that I can never get them planted in time, and then all of sudden, it's hot, and they don't do well in heat. So happy that you're getting some soaking rain. I hope there will be more to come. My chicas have clean bottoms? Okay... yeah, they were looking pretty good. I think since we have many, many dry days, and they have loads of roaming space... it's a helpful combination of circumstances. Spring + chicks + small children... a sweet tradition. Take pictures! I miss sweet pea planting almost every year, and then when I see them in other people's gardens I am absolutely crestfallen. I really should plant ten times more seeds. They are high on my list of favorite flowers.